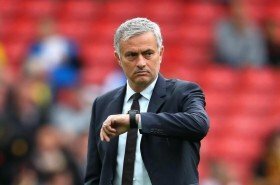 Mourinho has been out of work since his dismissal at Old Trafford in December but the Portuguese has already been linked with a number of high-profile sides. According to Libero, the 56-year-old prefers a return to the dugout in the summer and he would want the same to happen with Inter, whom he guided to a historic treble more than eight years ago. The Nerazzurri are currently sitting in the third position in the standings and they seem in control in the quest to qualify for next season's Champions League. Still, manager Luciano Spalletti's tenure could be assessed during the summer, given he has not been able to get the best out of the squad despite the vast changes in personnel over the past 18 months.